I bought an 12×12 acetate over about a year or so ago and never got around to using it until I put this layout together. They layout is about the trip we made to the Nevis Range – Scotland, which include all the deatils about how hight it was, how many gondalas (cable car carriages) there where, etc. 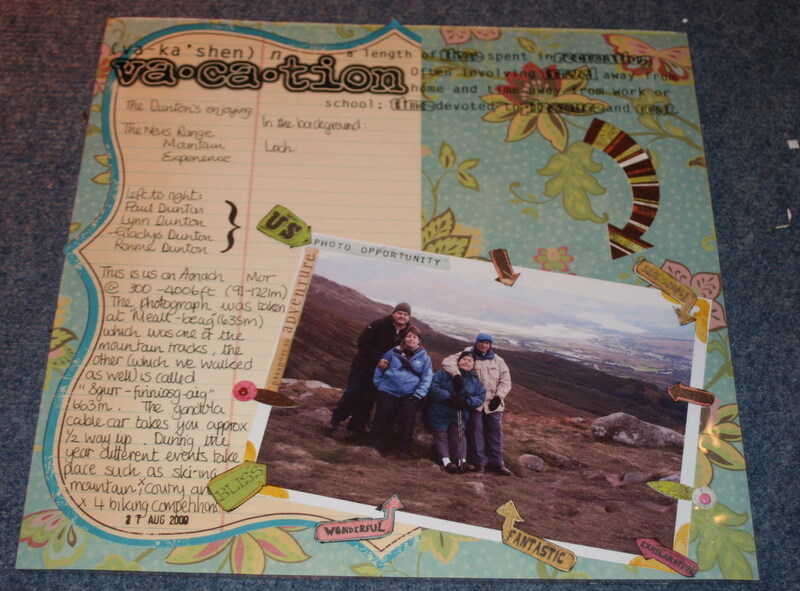 I used a K&Co patterned paper, Making Memories Noteworthy paper and the overlay. as well as lots of little arrows pointing to My mother and father in law and my husband and myself in the photo. This was the 1st time I had used an overlay of this size.